Another Warbird Fly In in the books. We were treated with wonderful weather right up till the rain took over shortly after lunch. Although gray skies prevailed, temperatures were mild and light wind right down the runway. Special thanks to all our guests who attended and to all the club members who really pitched in to make this another successful event. 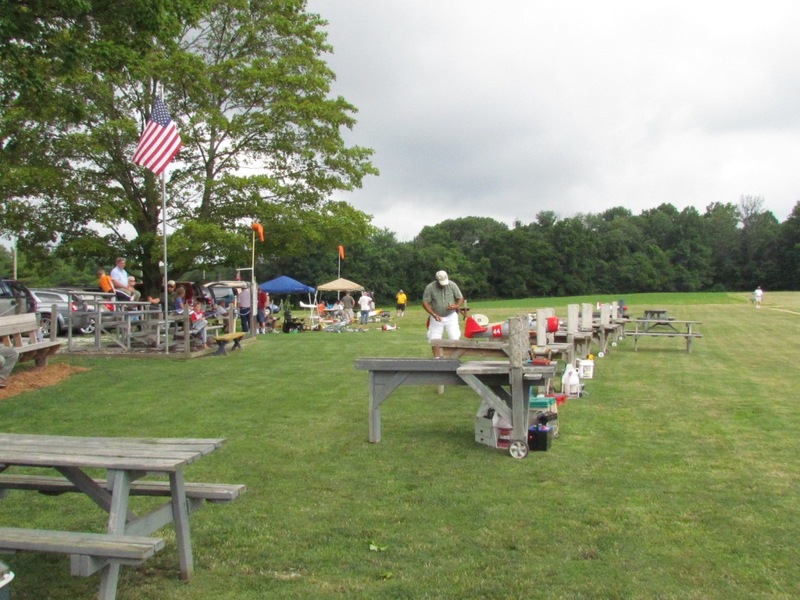 We had 34 registered pilots and 60 people enjoyed the cookout lunch. 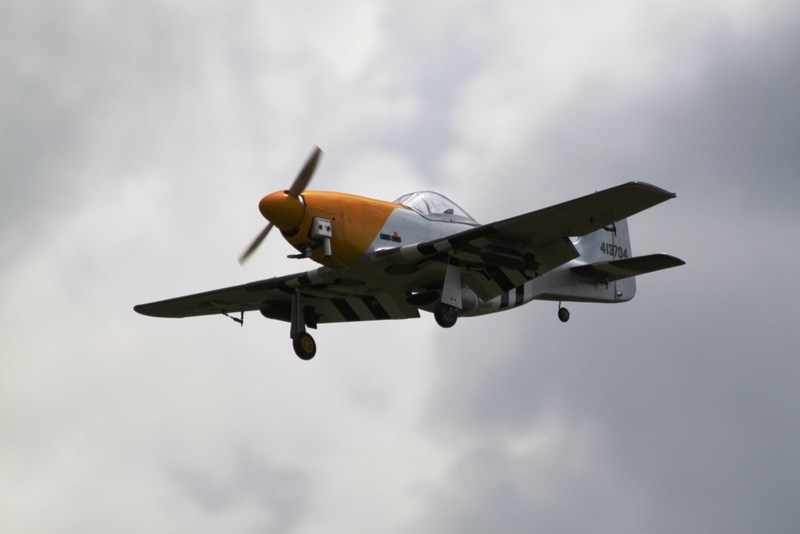 Erik Munevar was the lucky pilot who won the Flight Zone BNF T-28. 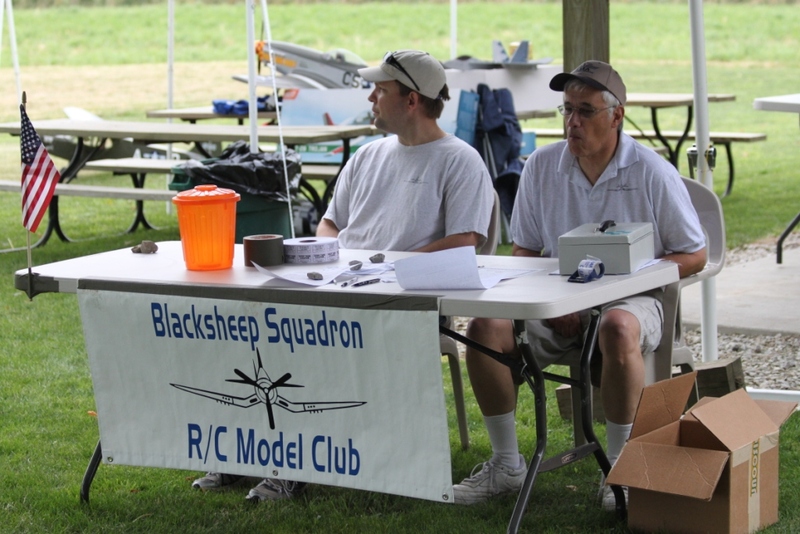 Pilots Choice Award went to Tom Hatfield and Tom Hatfield for their ECOM RC Models SE-5. 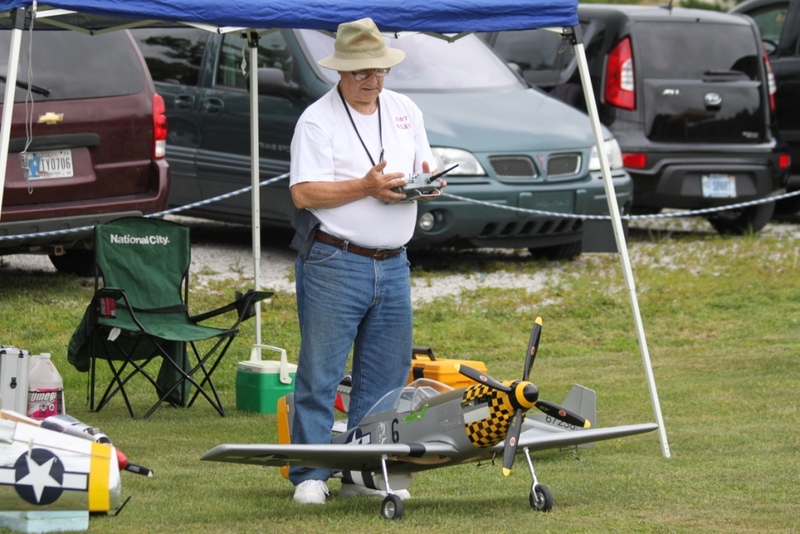 Peoples Choice went John Louden foe his very nice kit built Balsa USA Neuport biplane, cool working LED's for the machine guns. 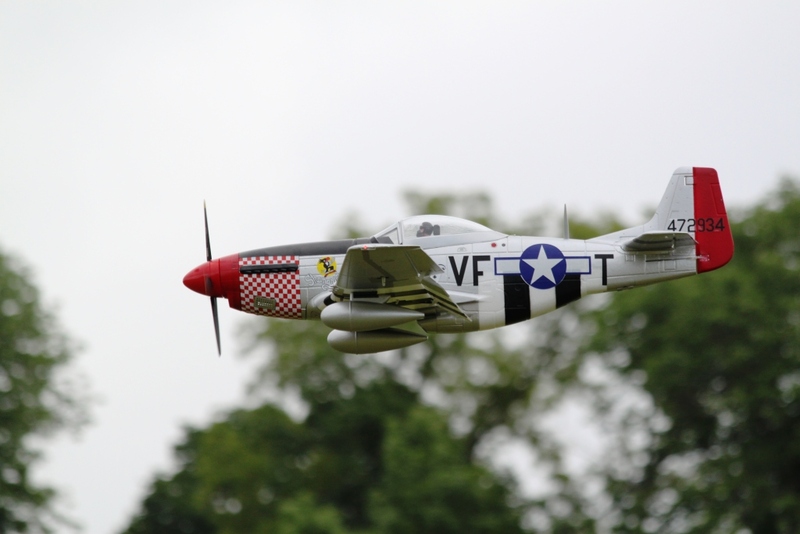 Club Choice went to Stephen Woods for his Hangar 9 80" P-51 Mustang. Some photos of the event, click on the thumbnail for a larger view. 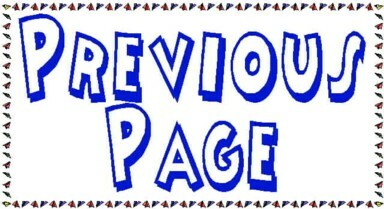 Then click back on your browser to start again. Some photos from Joe Miller. 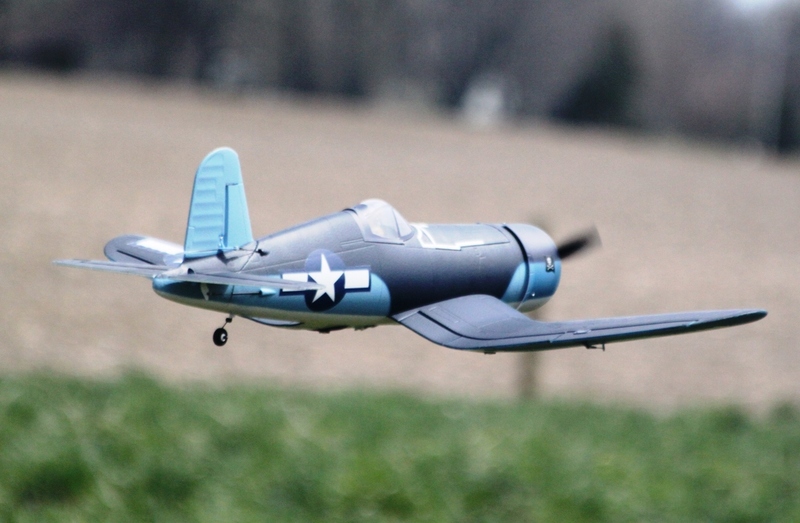 Blake McBee's Great Planes combat Corsair screaming by. Flight line ealry in the morning. Various size of warbirds in attendance. 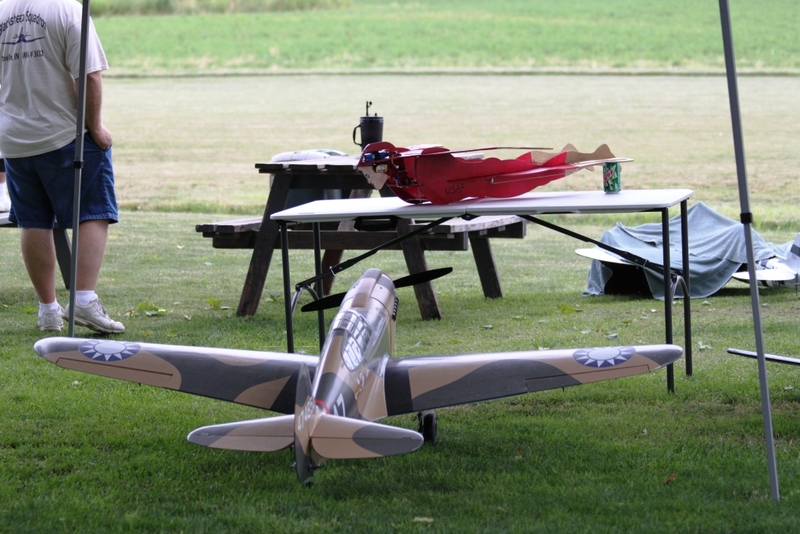 Rege Hall's Top Flite 86" wing span P-40 Warhawk, powered by a Turnigy 50. 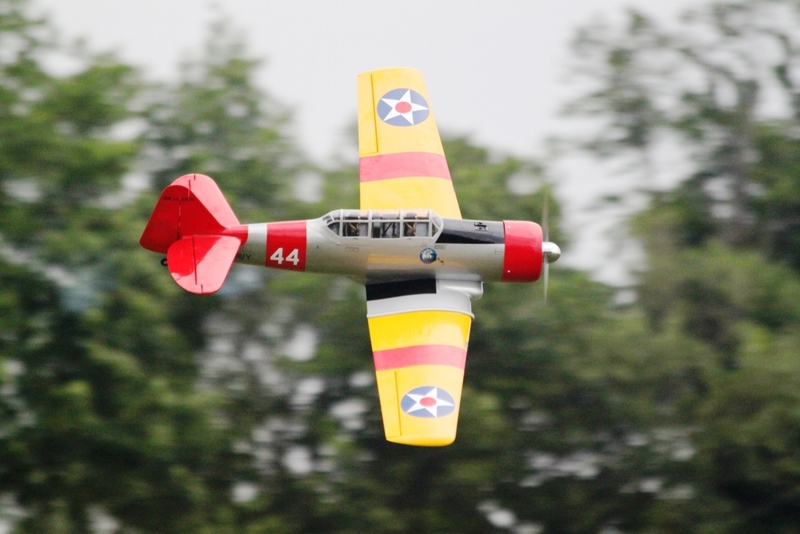 Matt Shelton's Great Planes T-6 Texan. 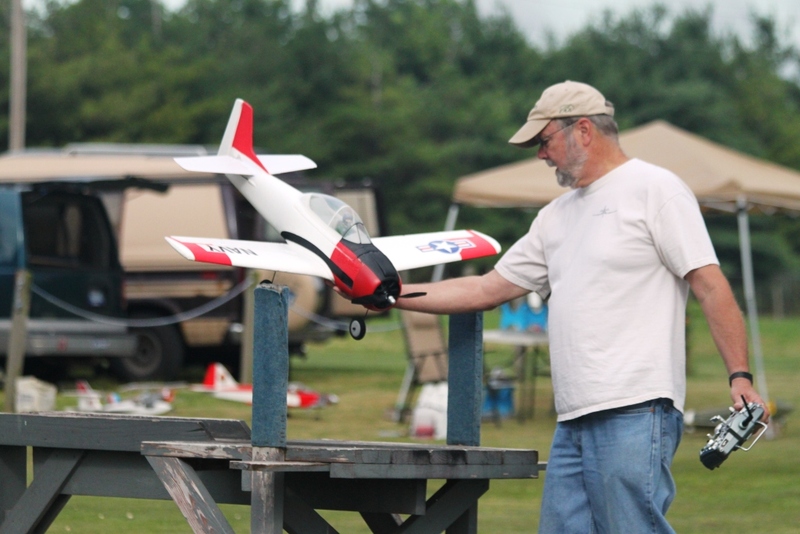 John Louden's Balsa USA Neuport, this plane was voted Peoples Choice. 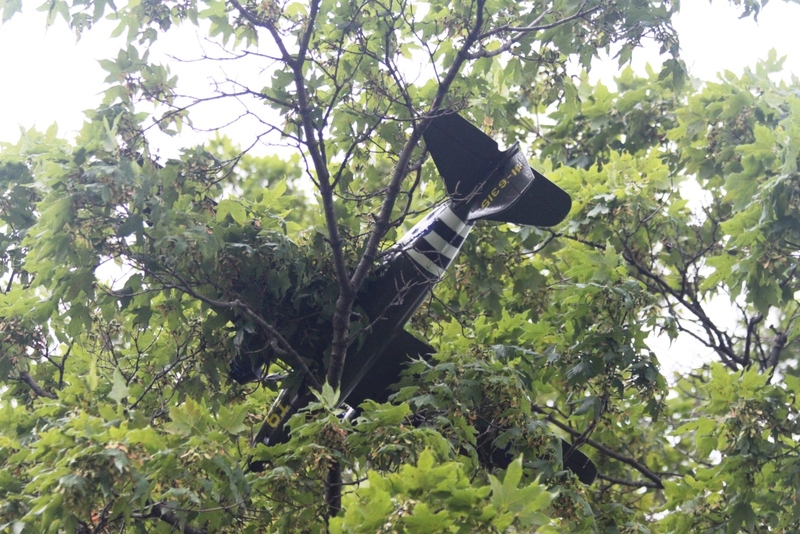 A C47 shot down over the jungles of SE Asia? 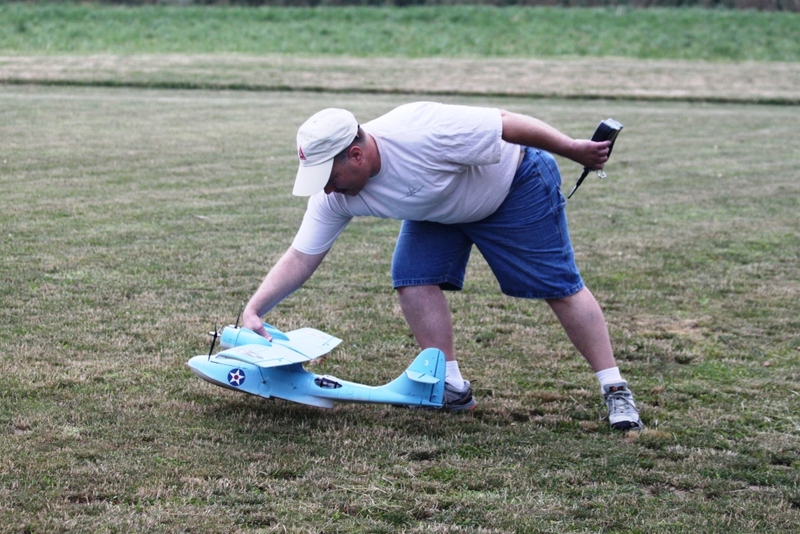 No, Jay Thomas's Dynam Models C-47 that suffered a radio glitch on takeoff. The recovery was quite a sight. Joe Miller lining up his HK PBY for a flight. 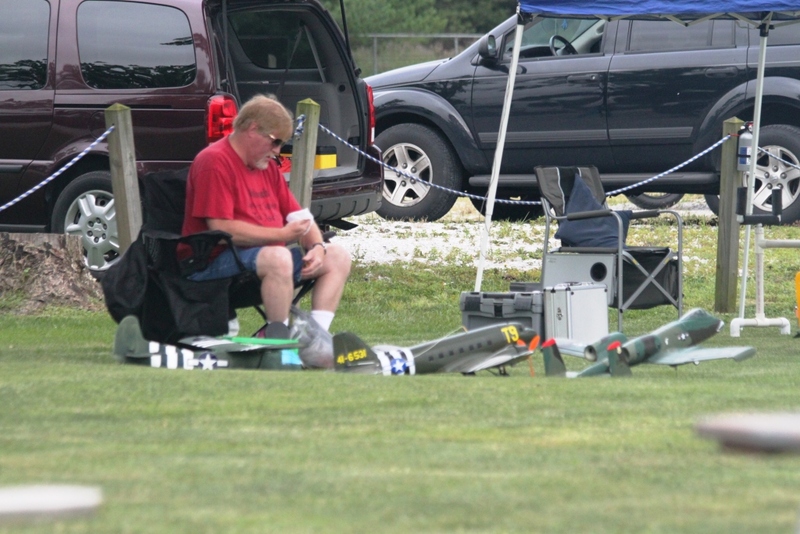 John Lawyer looking over his fleet of planes deciding what to fly next. 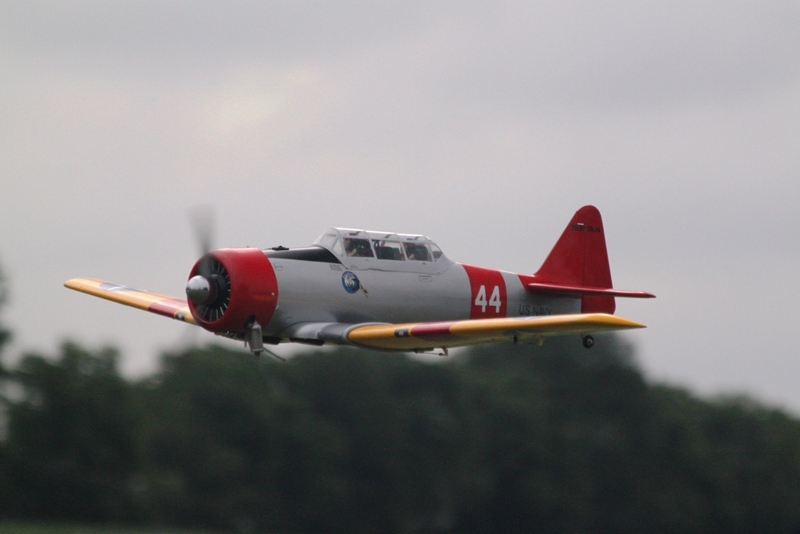 Matt Shelton's Top Flite T-6 Texan, powered by a Saito 1.15 4 stroke. 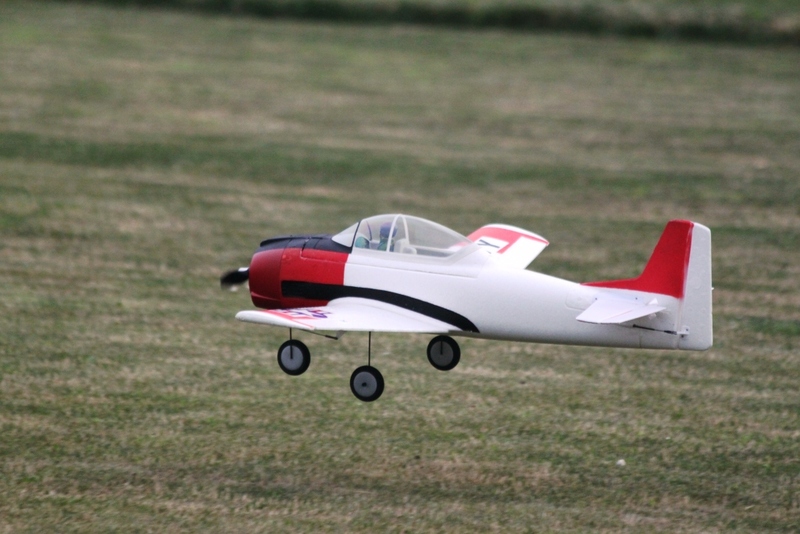 Rick Gilmore's Flight Zone T-28. 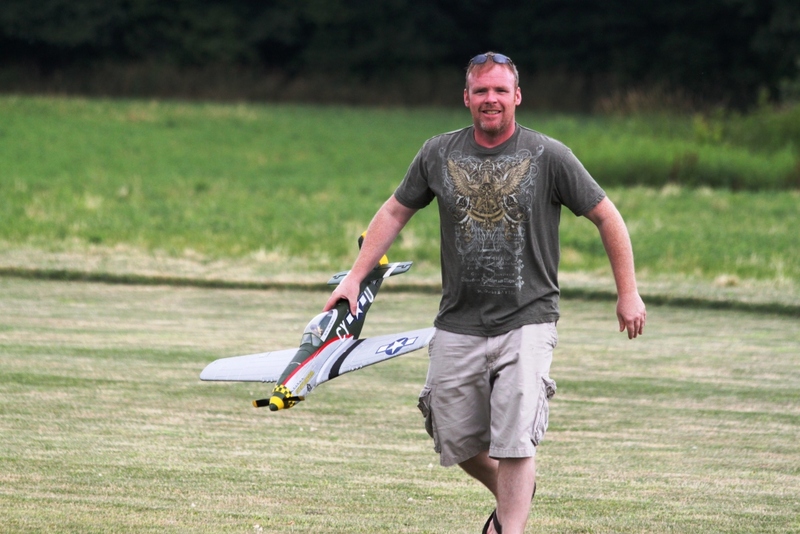 Rick Gilmore getting ready for a flight. 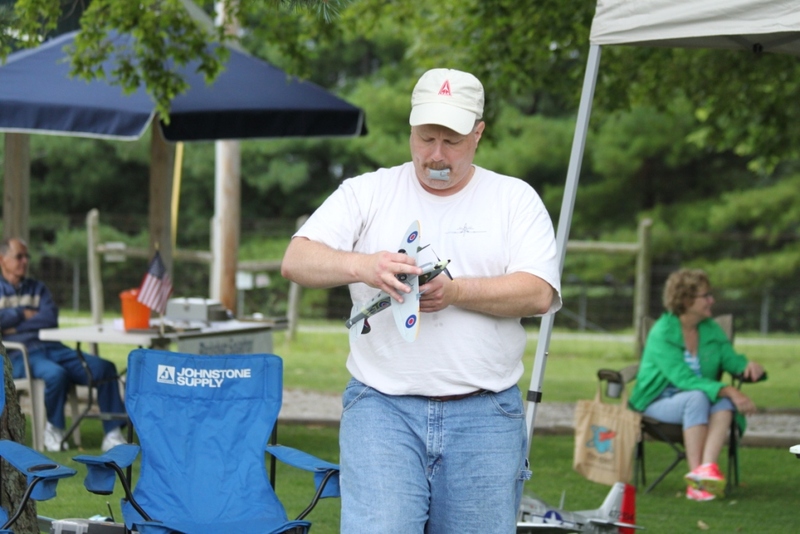 Bill Hallsworth taxiing out is Top Flite Elder "Flying Pig", powered by an ASP .61 4 stroke. 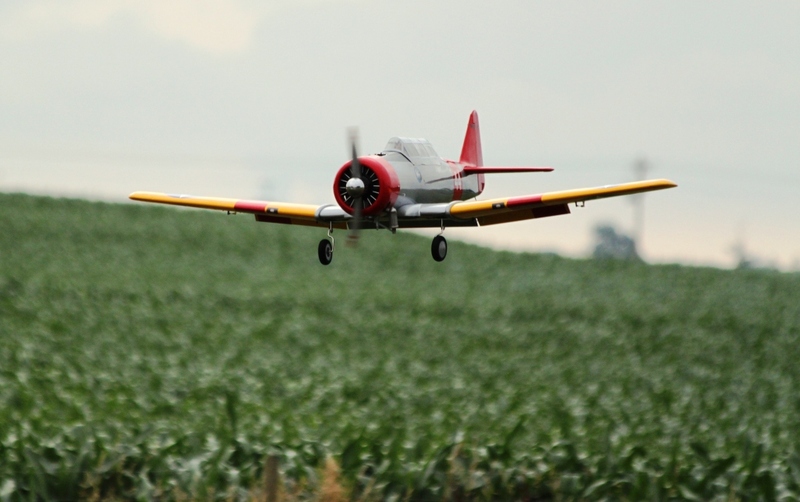 Matt Sheltono's T-6, everything down and dirty for a landing. 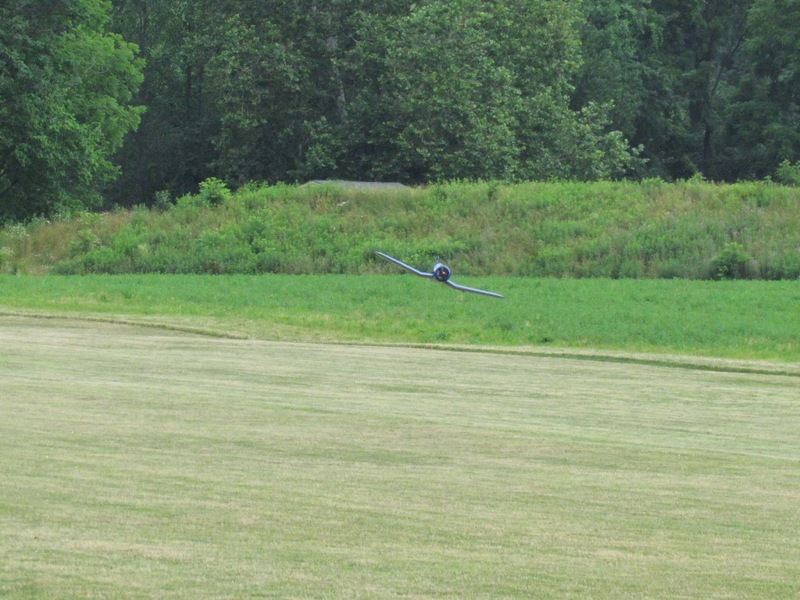 Mika Woodward launching one of his A-4 Skyhawks, this one was pusher prop power. Matt Shelton and John Louden manning the registration. 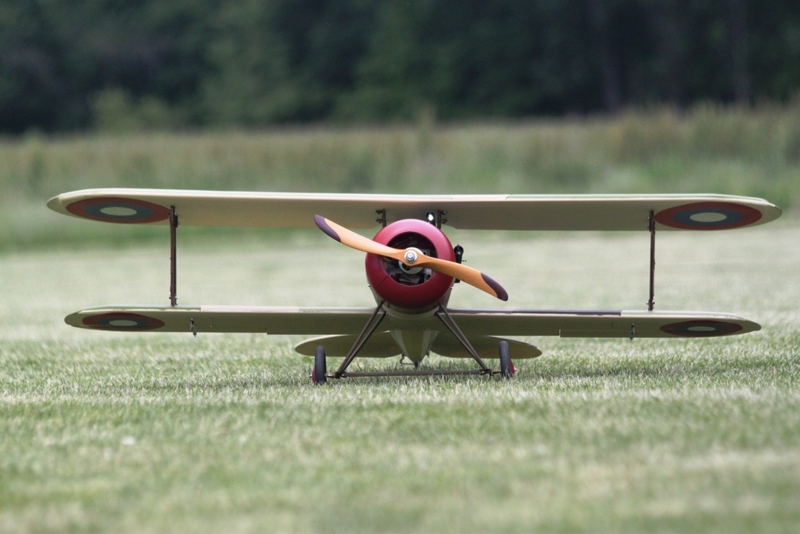 Rege all's Top Flite Turnigy 50 cc powered Top Flite P-40 Warhawk and Bill Clontz's Wild Billman. 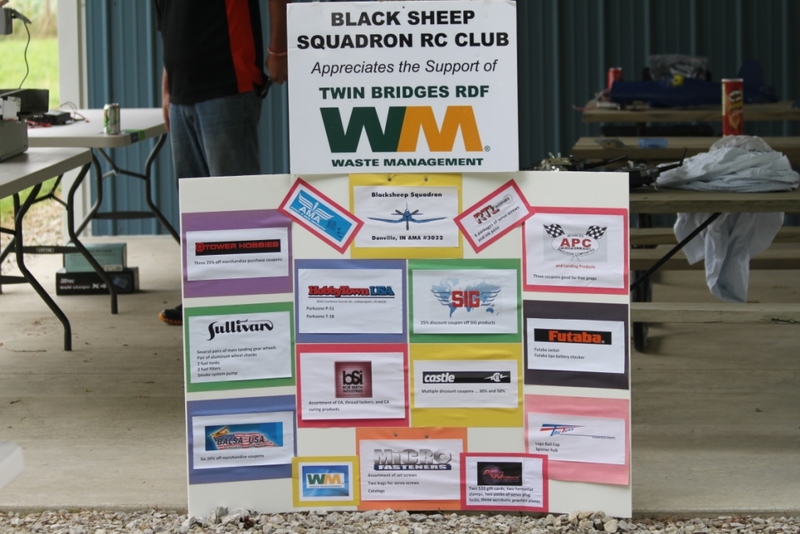 Our event sponsors display board. Remember, support our sponsors. 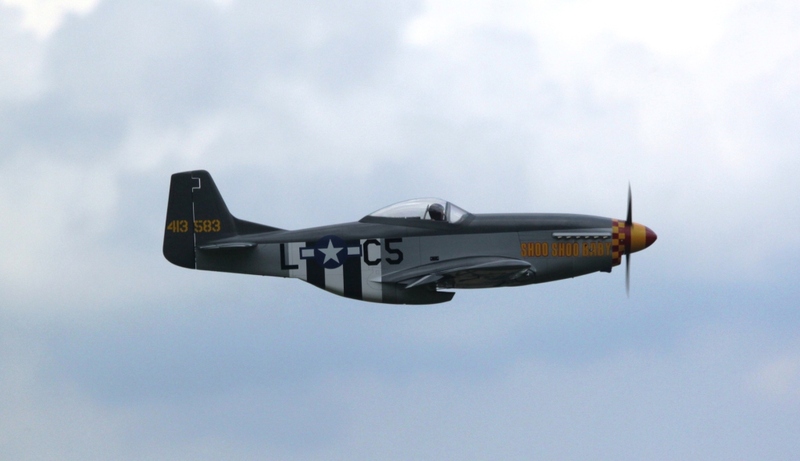 Rege Hall's FMS 56" wing span P-51 Mustang. 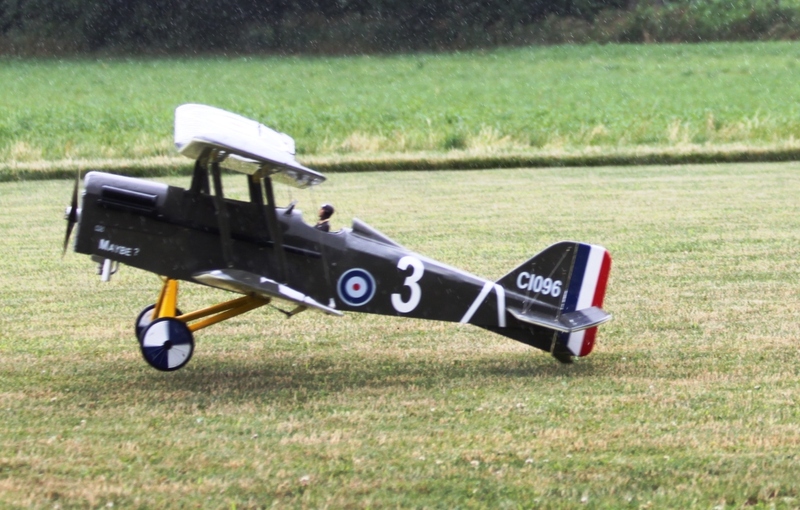 John Louden's kit built Balsa USA Neuport taxiing in with the machine gun firing (LED). 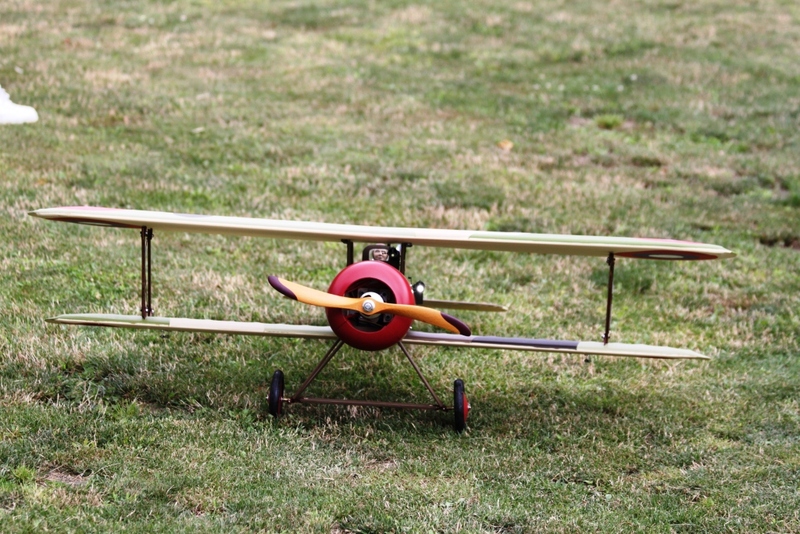 Blake McBee's Great Planes 1/12th scale combat Corsair, electric powered. 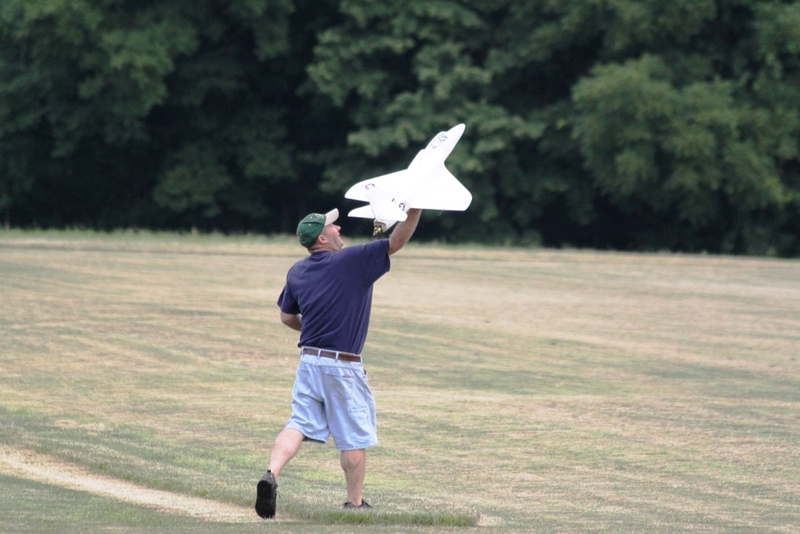 Tom Hatfield retrieving his Flight Zone P-51 Mustang. 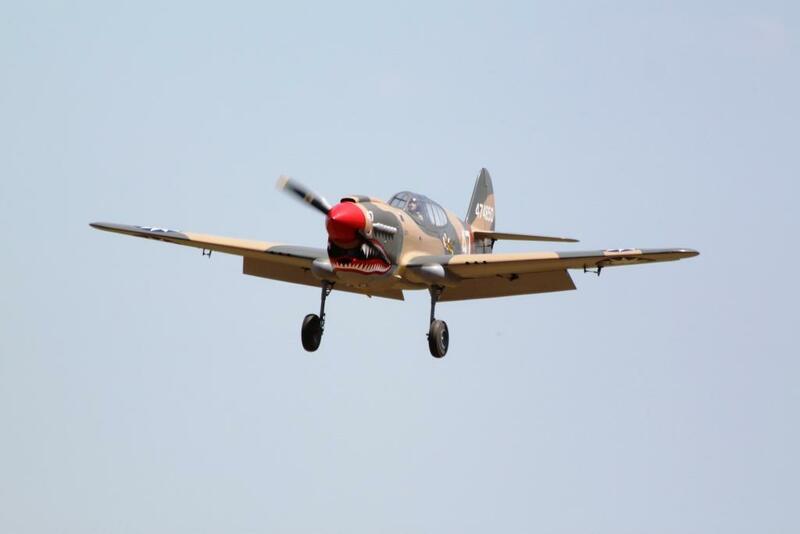 Mark Tudor's Flight Zone T-28. 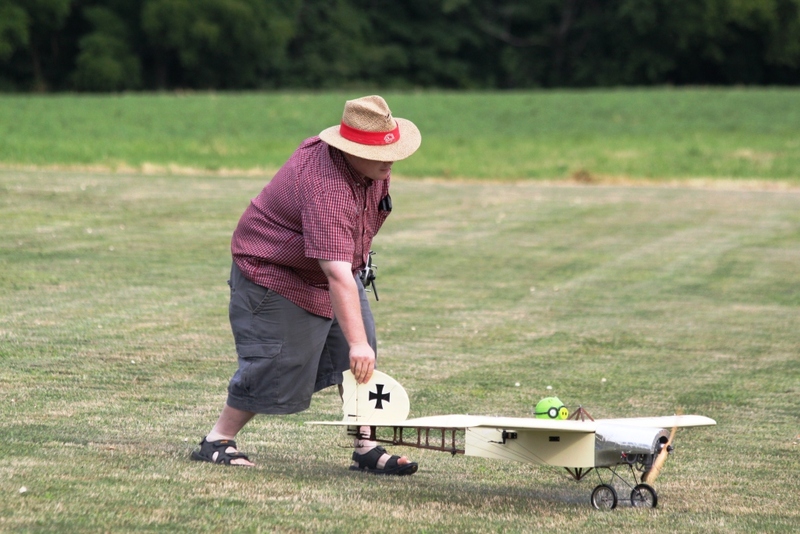 Joe Miller preparing his micro Spitfire for a flight. 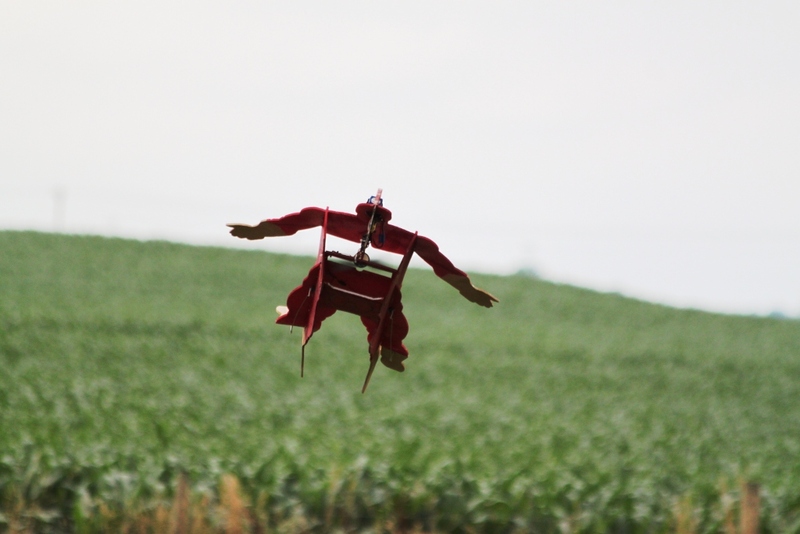 Bill Clontz's Wild Billman to save the day. 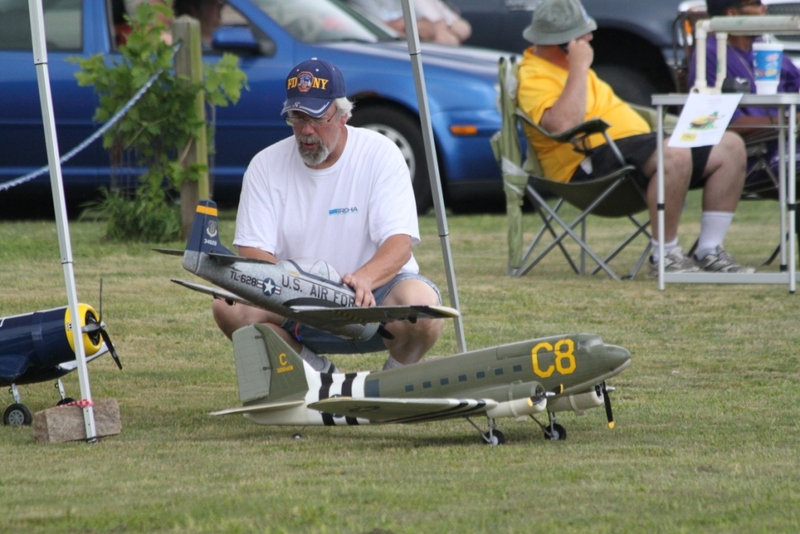 Mark Tudor with his C-47. 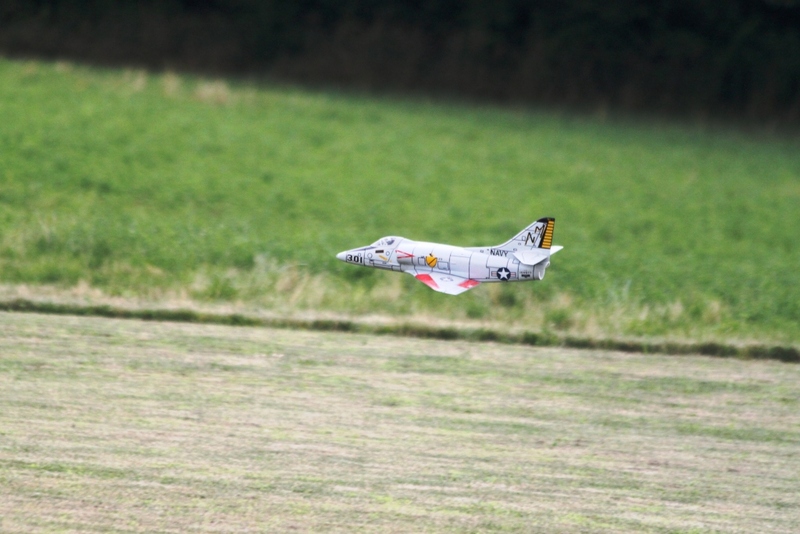 Mika Woodward's very fast EDF A-4 Skyhawk. 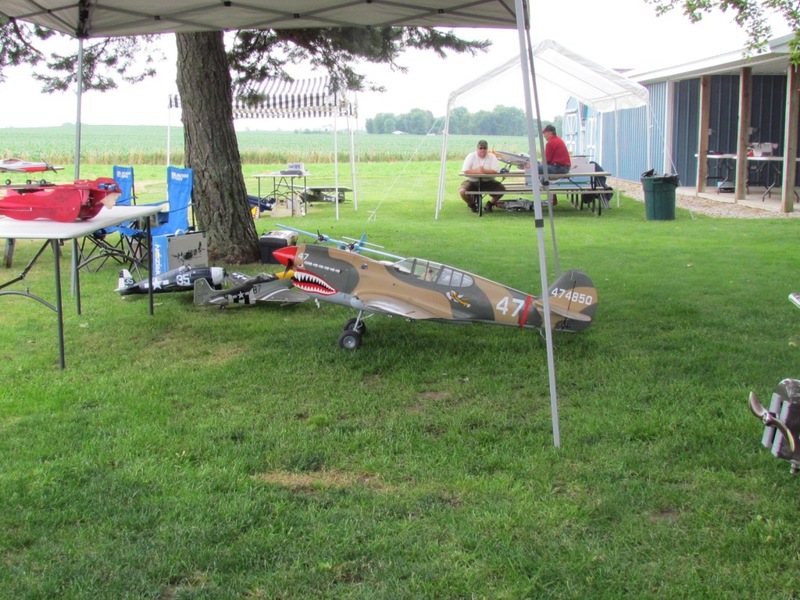 Joe Kosiba's Hangar 9 Spitfire, powered by a Saito 1.15 4 sroke. 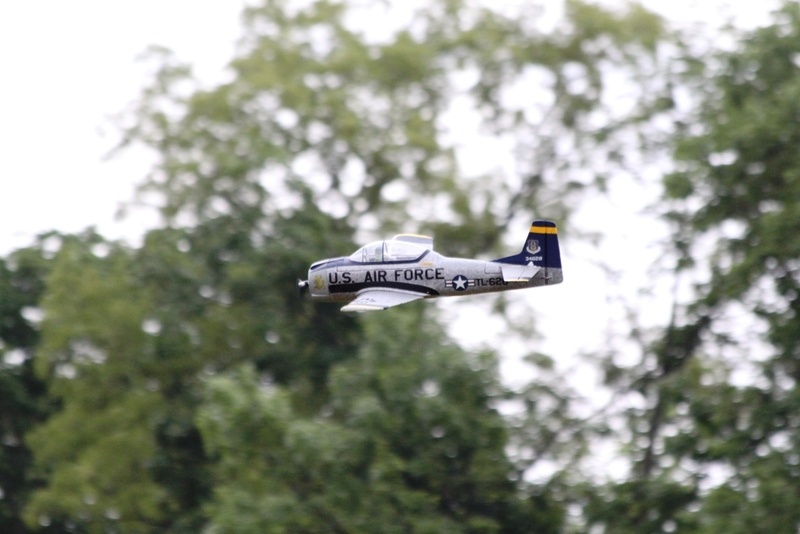 Weir Thurman testing the AXI 5345-18 motor on his ESM P-51 Mustang, wow, what power! Stephen Woods Hangar 9 P-51 Mustang ready to roll. Powered by a DLE 30. 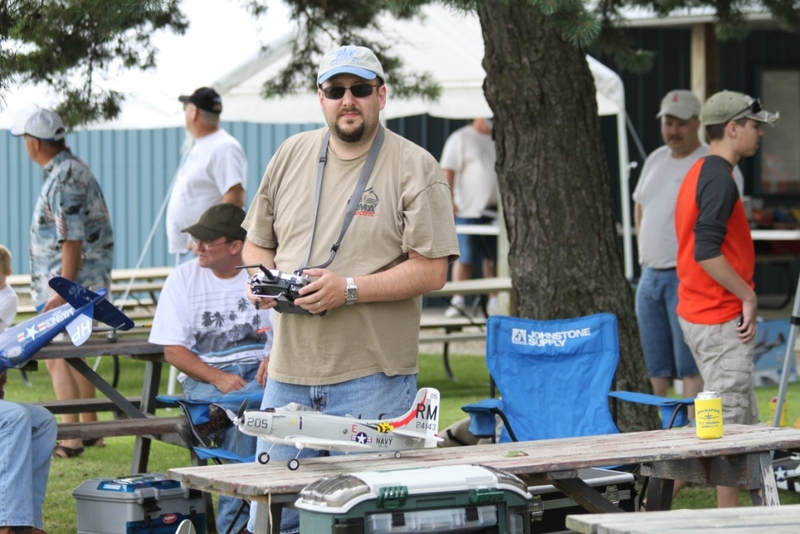 Erik Munevar with his Durafly A-1 Skyraider. 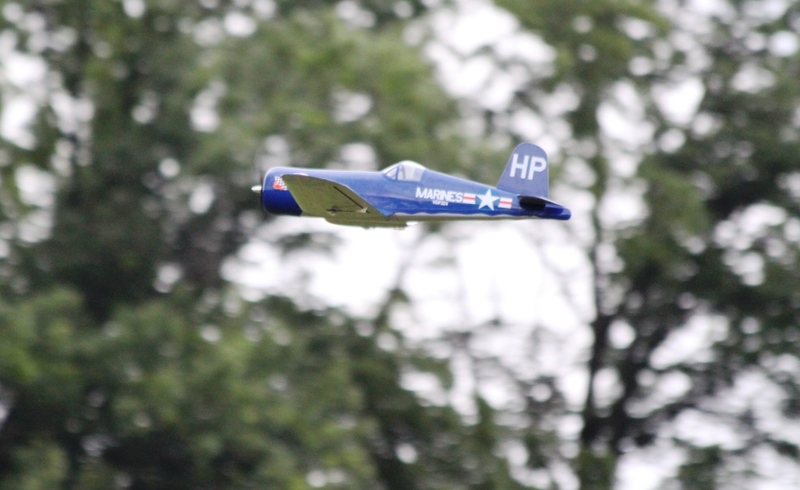 Stephen Woods "Club Choice" winning P-51 Mustang. 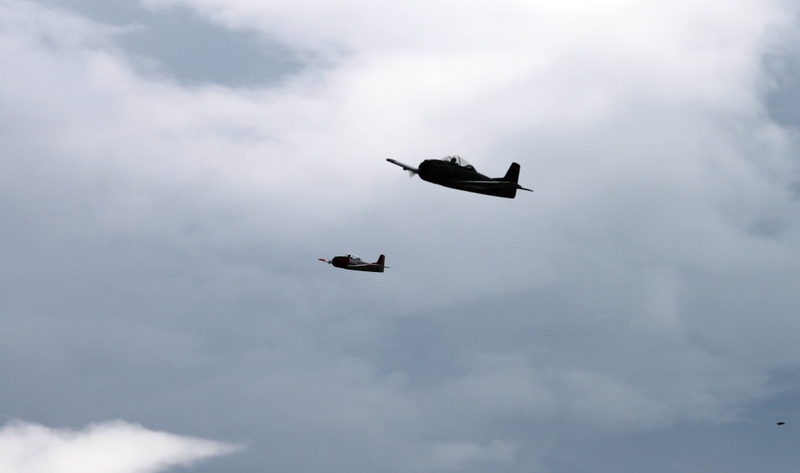 Mark Tudor and Mike Woodward in formation with their Flight Zone T-28's. 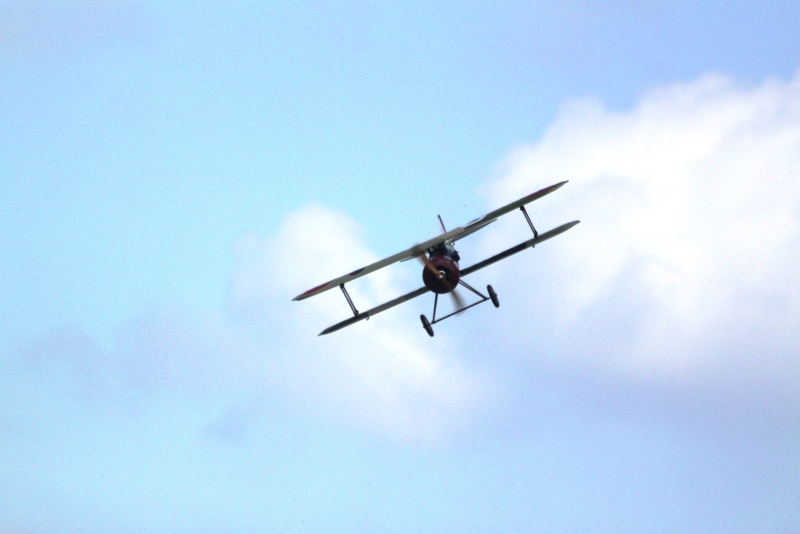 Tom Hatfield's SE-5 rolling in for a pass over the airfield. ECOM Models powered by a DLE 30. 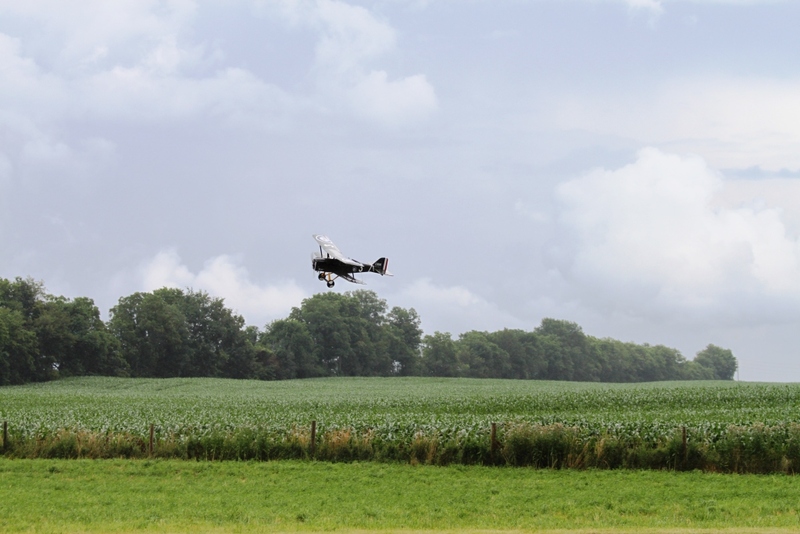 Tom 's SE-5 just touching down as the rain is returning. This is the Pilot's Choice winner. 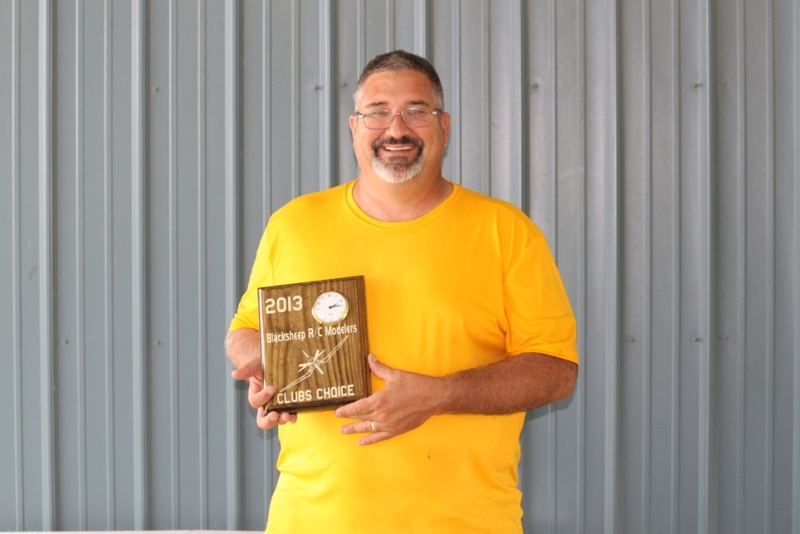 Stephen Woods displaying his "Club Choice" award for his Hangar 9 P-51 Mustang. 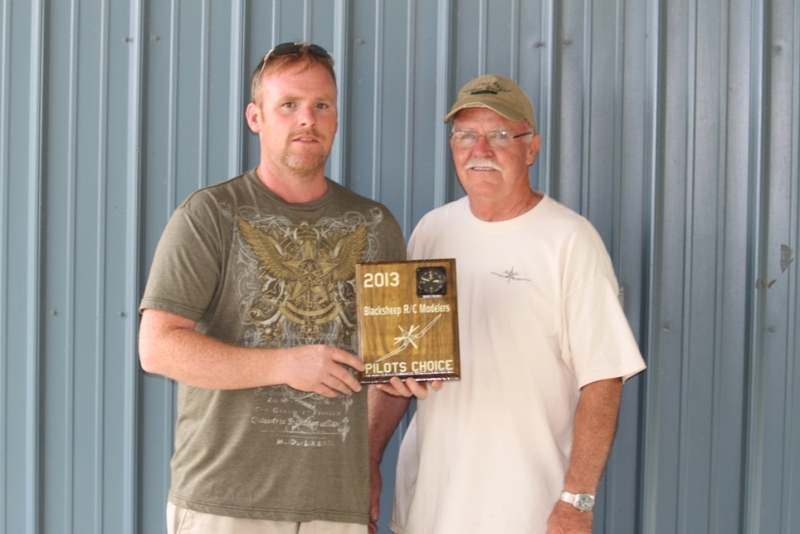 Tom Hatfield and Tom Hatfield posing with their award for Pilots Choice. 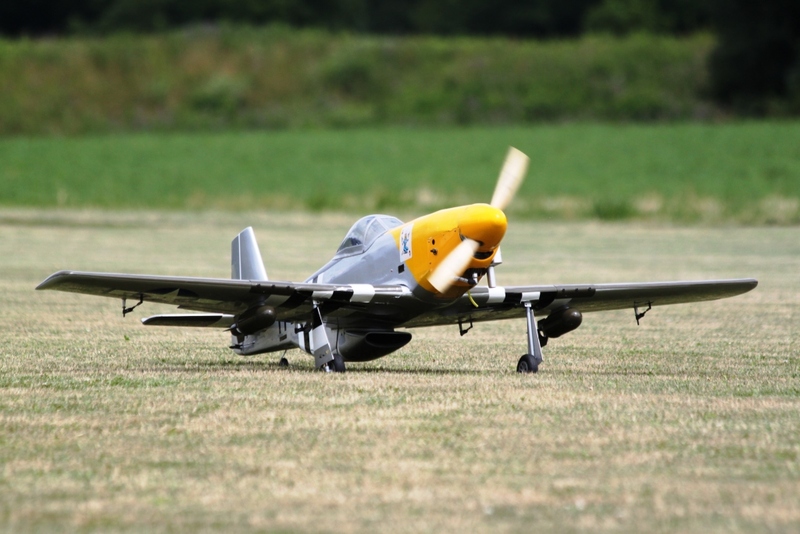 Joe Miller's HK P-51 Mustang, with retracts. 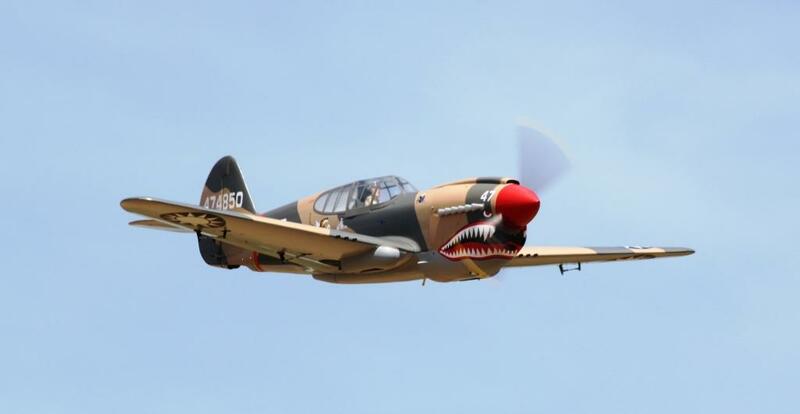 Rege Hall's Top Flite P-40 Warhawk. 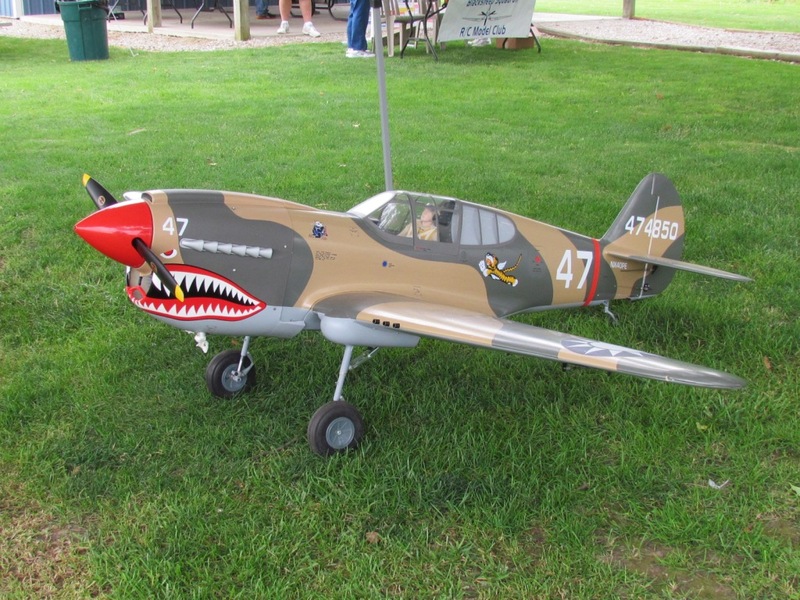 Rege Hall's Top Flite P-40. 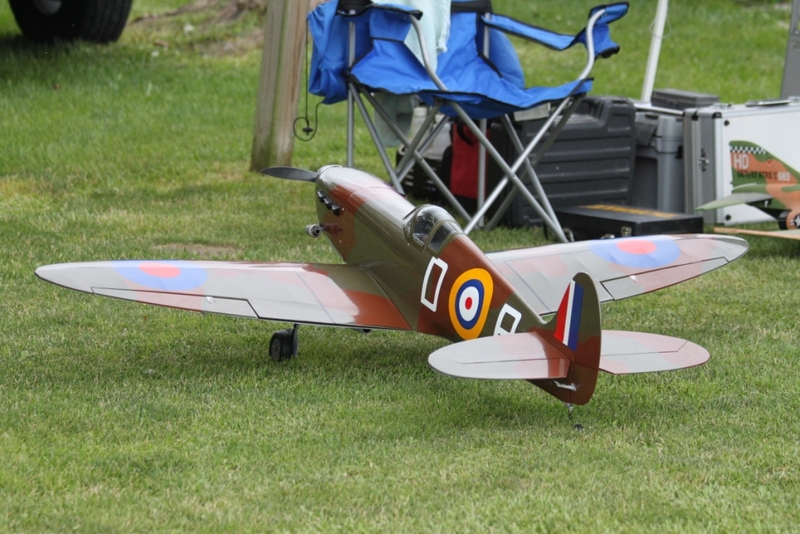 John Louden's very nice Balsa USA Neuport, electric powered withthe LED machine gun firing! 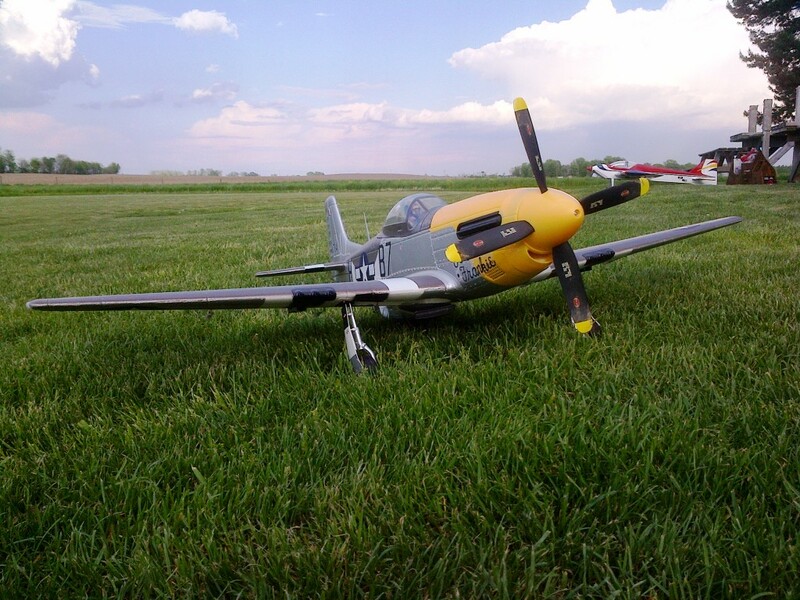 Rege Hall's Top Flite 60 size P-51 Mustang powered by a Magnumn .91 4 stroke. Done up as Shoo Shoo Baby.